Propability - in collaboration with the Visual Merchandising team at Fenwick – designed, produced, manufactured and installed a huge near life size oak tree to provide an incredibly lifelike scene for autumn product display in the windows of the London department store. 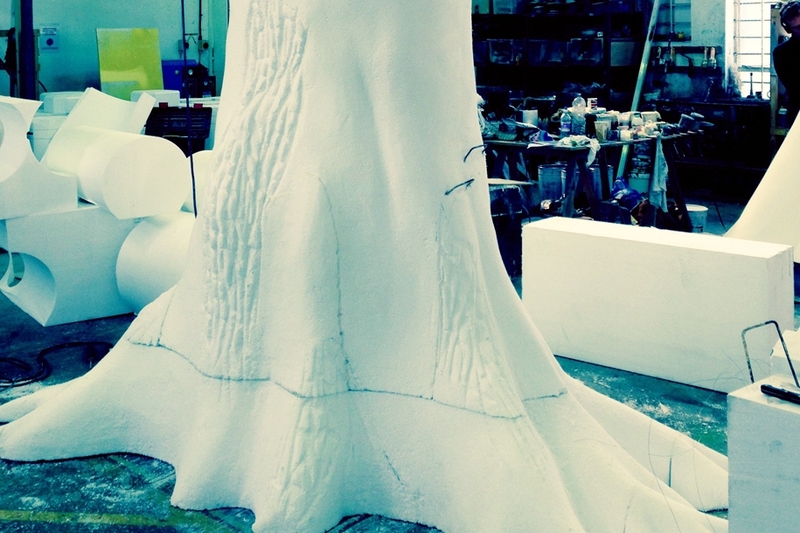 Creating an utra-realistic display the tree sculpt produced at the Propability workshop measured 13 metres wide by 4 metres tall. Sculpted in polystyrene and scenically treated by our artists it was as close to the real thing as possible. Real moss and autumn leaves were painstakingly added to give an even more realistic finish and autumn leaves were collected and strewn across the floor. The scale of the piece was particularly challenging with Propability carefully creating the sculpt to fit the obscure size constraints of the window to ensure it would fit perfectly through the available access on site. A beautiful autumn woodland scene of reds and oranges was created to complement the displayed collections that were perched among the great branches of the tree. As a result of the success of the project, Propability were asked to return and collaborate with the Fenwick team on their Christmas window displays. Due to the high quality and robust craftsmanship applied to the project, the autumn tree is now used in-store as a prop to feature product.